Class piano I and II and Fretted Instruments (guitar) I, II and III are prerequisites for applied lessons. Students who have taken private lessons before and read music with some level of proficiency are encouraged to audition and register for private lessons. 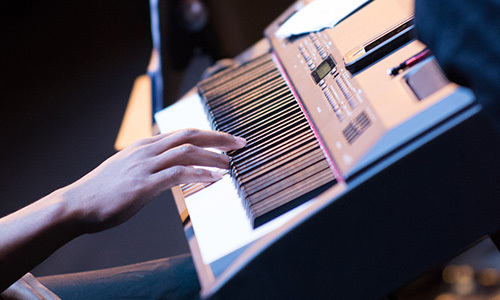 Applied students are also required to perform on student recitals given during the semester. For more information, contact Dr. Holly Powe at (256) 306-2919 or e-mail at holly.powe@calhoun.edu.